Do you ever get a project going, and you're all into it, and cruising along, and then for seemingly no reason you stall out entirely? If you don't know anything about weaving, you'd probably think by looking at this loom shot that I've barely started. But the actual weaving is just half of weaving. Before you can start weaving there's warping, which is putting the yarn on the loom. So by the time I got to this point I'd already spent hours measuring 407 threads to all be exactly 4 and a half yards long in just the right sequence of white and black. Then I got help from my lovely husband and daughters to wind the measured warp yarn on to the back beam of the loom. And then I started the process of threading the heddles. 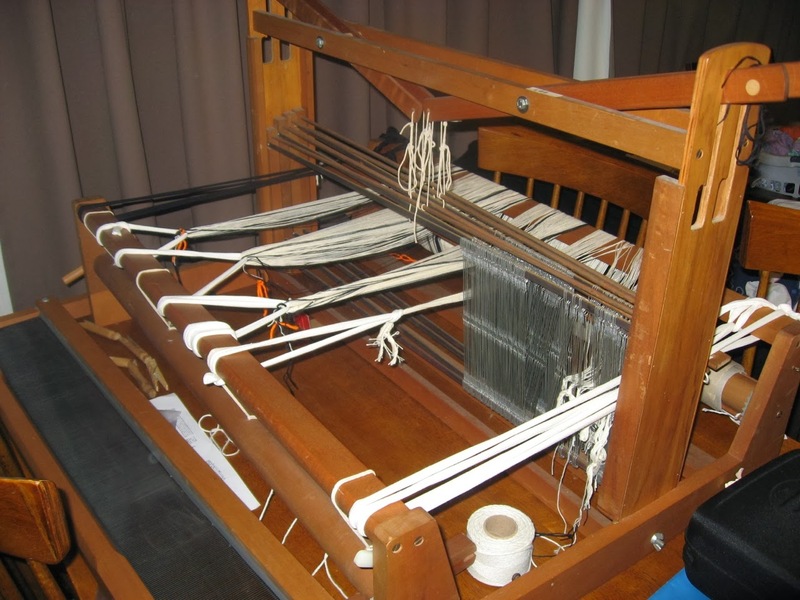 My loom has been sitting on my dining room table in this exact state for a couple of weeks now. Instead of working on finishing the warping I've been knitting, and reading, and walking, and sleeping, and pretty much anything and everything else. If I just got through threading the heddles, I could move on to the actual weaving part, and I think I'd zip through to the end. But every time I look at it, and think I should work on it, I just turn my back and do something else. Have you ever hit the crafting doldrums? How do you pull yourself out of them and motivate to continue? Warping can be like that sometimes. I have been doing a lot of doubleweave blankets and sometimes it is not only the threading that I dread but the weaving too! But then a pick up the shuttle and a few picks later I wonder what all the fuss was about! Deep breath - dive in!